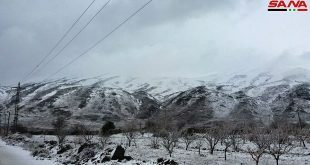 Damascus, SANA – Temperatures will remain around average or a little higher as the country is affected by the start of a polar low in all layers of the atmosphere accompanied by a cold and wet air mass. 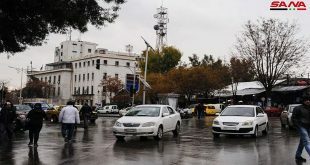 The Meteorology Department expected in its bulletin on Friday that the skies will be clear to partly cloudy in general, and will turn to cloudy in the afternoon as rain showers might fall over different areas, with the possibility of floods in valleys and slopes. 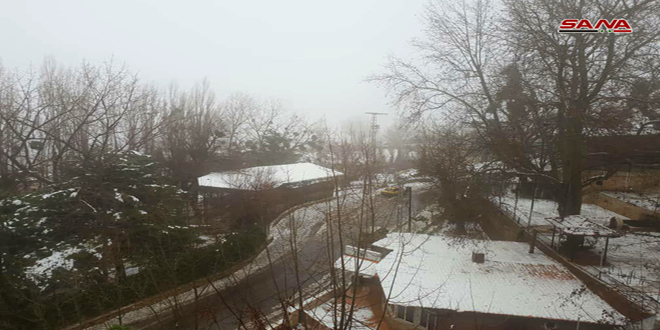 Shadi Jawish from the Meteorology Department said that temperatures are expected to drop gradually to become 2-4 degrees below average, with heavy rain, in addition to snow at 1,200 meters altitude on Sunday and at 1,000 meters on Monday. 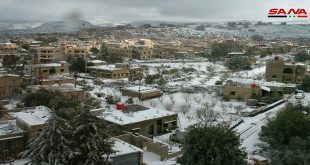 The wind accompanying the front is expected to clock in around 60-70 kilometers per hour on Sunday.